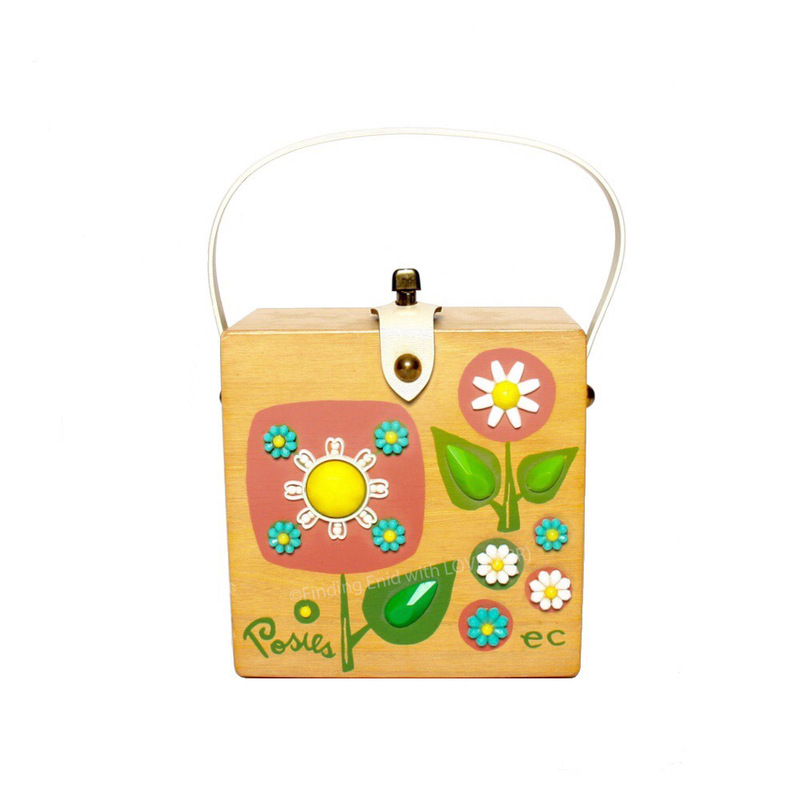 Cube-shaped box purse of light-toned wood featuring a serigraph of abstract flowers. Screen printed in green and salmon pink. Decorated with opaque faux gemstones in turquoise, bright yellow and white, plus white acrylic embellishments. "Posies" serigraph in hand-script printed style appears in lower left corner. The letter "I" in Posies is embellished with a yellow stone.